The perfect kit for beginners, the Intro to Essential Oils kit includes a 5 ml bottle of dōTERRA’s CPTG® Lavender, Lemon, and Peppermint essential oils. 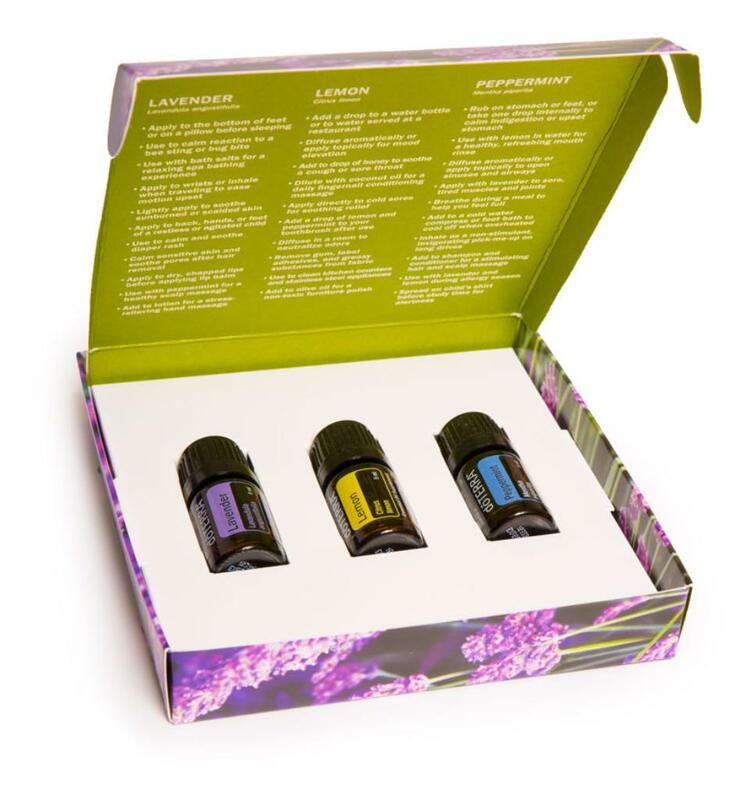 The stunning presentation box also includes suggested uses of the included oils providing you with an immediate experience of the life-changing benefits of essential oils. Also included with this item is a WELLNESS CONSULT with a dōTERRA wellness advocate. This consult is a personalized, in-depth overview about the amazing benefits of essential oils and how to incorporate them into your personal life, be it for your health and vitality, as a non-toxic approach to cleaning and personal care, or even in your kitchen!